Across the U.S., there’s a movement to adopt senior pets. A growing number of organizations are dedicated to adopting out pets more than 7 years old, which are traditionally hard to place. Pet lovers are increasingly receptive to the idea. After all, older pets often come with benefits like calm behavior, easy family integration, and the feeling that you’ve helped an animal in need. Senior pets are usually house-trained and less demanding than a young puppy. However, older pets can also have special challenges. Here are some things to consider before you adopt a senior pet. First, it’s important to understand that there’s no solid definition of what makes a pet senior or older. The pet’s size, weight, health issues, and breed all factor into its status. A large-breed dog, like a Great Dane or Saint Bernard, may be defined as a senior pet when it is just 5 to 7 years old. That’s because their massive size makes them more prone to health issues that are typically found in older dogs. Cats are usually defined as seniors at 7 to 10 years of age. If the kitty is exceptionally large, or if it is already displaying signs of an issue like arthritis, your veterinarian may begin to consider it a senior cat at an earlier age. If your animal is geriatric, it’s at the older end of the senior spectrum. 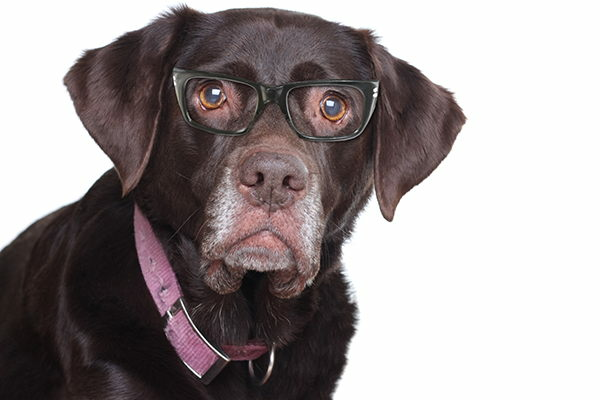 Geriatric animals display clear signs of normal age-related health problems. Older pets are more likely to have health issues. Their medical needs must be handled with care, and they may need veterinary appointments, medications, and treatments to manage their conditions. But don’t let expenses put you off. Senior pets, in many cases, are actually less costly to support than young animals. The cost of spaying/neutering a puppy, plus getting shots, training, and everything else a young animal needs, can be significant. Still, if your pet develops a serious illness, it can be a life-changing experience for both of you. It’s grueling to see your beloved pet in pain, or unable to get around. Older animals need stable, predictable environments more than their energetic young counterparts. For people who love adopting senior pets, this is a big bonus. These pets have calmness and predictable personalities that fit right into the household. If your senior pet does have health problems, it can take a toll on your family. Young children, in particular, are affected by a pet struggling with pain or mobility. Take care to reassure them about the situation. On the flip side, senior citizens often find comfort in having a senior pet as a roommate. They have the perspective to understand the challenges their pet faces, and may be less bothered by health issues. One thing is for sure: Adopting a senior pet is an act of genuine kindness. Older pets usually seem to know that they’ve been rescued from a difficult situation, and are grateful for it. People who adopt older pets often develop deep bonds with their animals, which may even extend their lifespans. One study that followed 3.4 million people for 12 years found that pet owners were happier than average people and had a 33% reduced mortality risk. Ready to be a hero for a senior pet? Contact your local pet adoption agency, and bring your new pet to Academy Animal Hospital for a checkup. We specialize in helping pets live long, healthy lives.